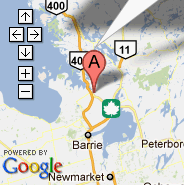 Boat Hauling and Transportation in the Orillia, Barrie, Muskoka, Georgian Bay, Toronto, GTA and Central Ontario areas. 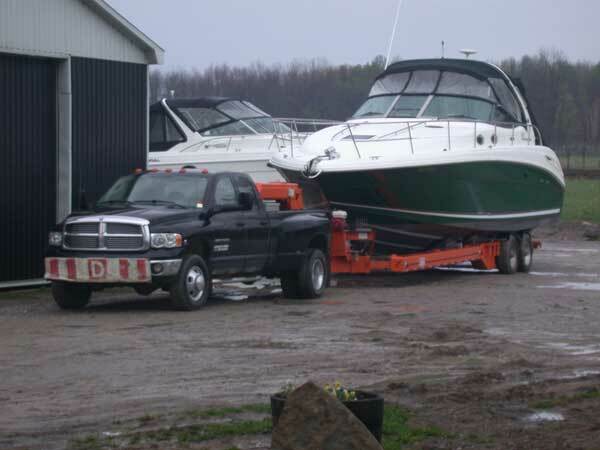 We offer hydraulic trailer hauling / transportation services for boats up to 34 feet in length in Ontario. We are fully licensed and insured to transport your boat – whether you want your boat moved in Orillia, Barrie, Midland, Simcoe County, Muskoka, Georgian Bay, Toronto or any of the surrounding areas, put in your own yard or brought to ours for storage or service, we would love to have the opportunity to prepare a quote for you. We can also do flat bed work up to 14,000 lbs and 26 feet in length, transporting equipment, cars, trucks, whatever you need moved!